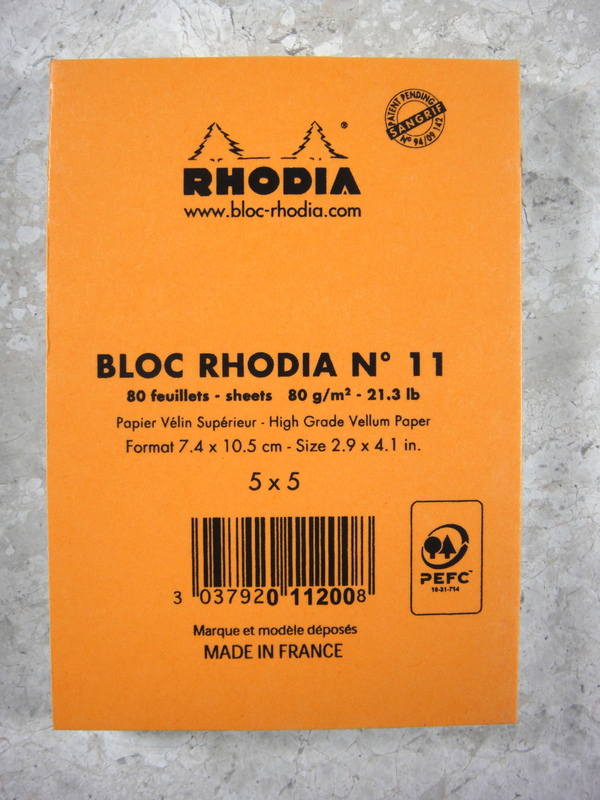 I love Rhodia paper products because they are both affordable and fountain pen friendly. They come in dozens of formats and I have tried almost all of them and only two have remained staples in my notebook collection: the Rhodia Reverse Book (review to come) and the Rhodia Bloc Pad No 11. 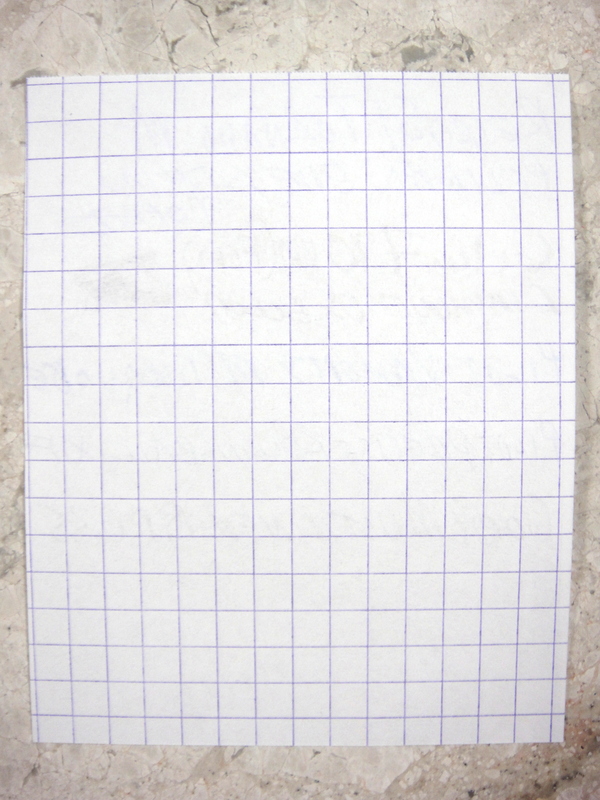 The No 11 is small notepad that measures 2.9″ x 4.1″ and contains 80 sheets of Rhodia’s standard 80g paper in lined and graph formats (I prefer the graph). 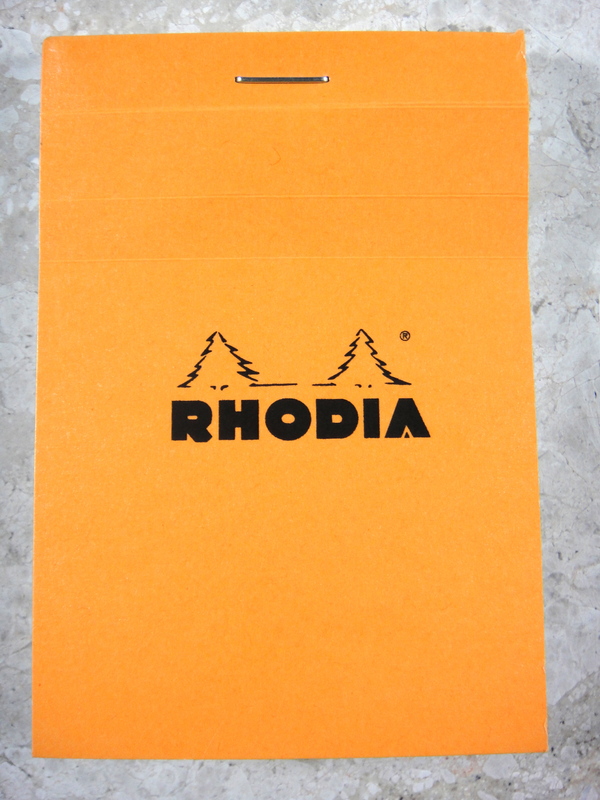 The No 11 comes in black and classic Rhodia orange covers. 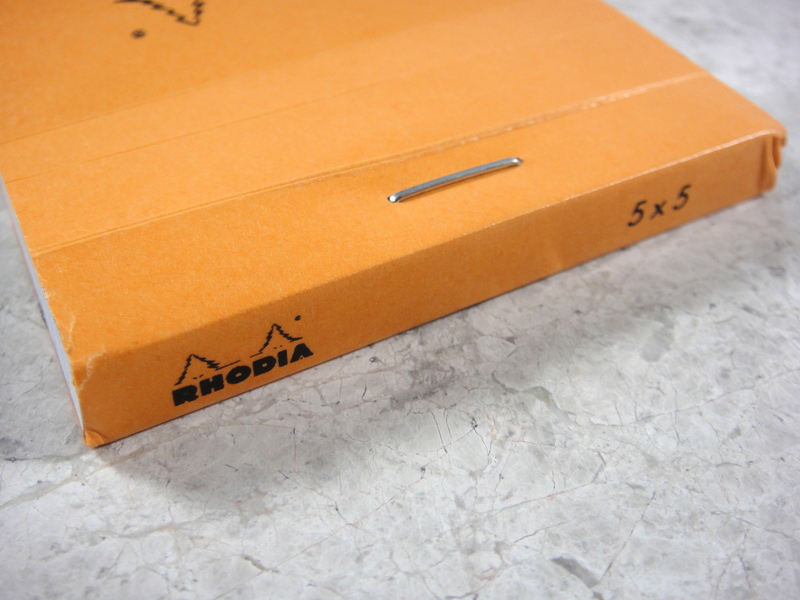 Like the vast majority of Rhodia products, there is a lot of branding; all three sides of this tiny pad have the Rhodia logo. The sheets are micro perforated and if you are careful the sheets come out pretty easily. Because the sheets are bound only with one centered staple it is important pull the paper up off the pad to get the perforations to work. If you pull straight the paper will detach at the staple. The No 11 is great for short lists and notes. I prefer them to using sticky notes. As you can see there are no issues with feathering or bleeding. 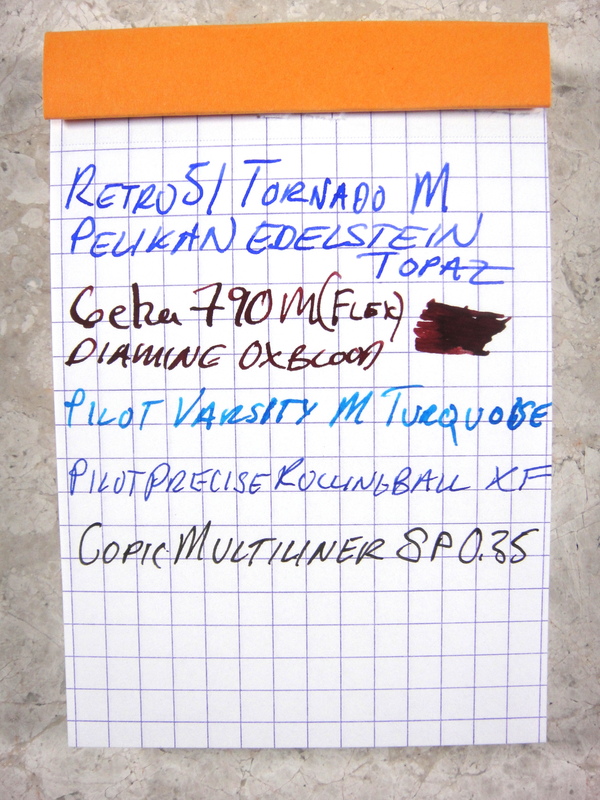 Rhoida (and sister brand Clairefontaine) are the gold standard when it comes to fountain pen friendly paper and it is easy to see why. Virtually no ghosting to speak of. At $2 a pad it’s pretty hard to go wrong. I believe the No 11 would be useful to almost everyone; I highly recommend it.